Israel’s defense minister has “unfinished business” in Gaza. For years he warned Israel about “Hamastan”, tunnels and the need to deal with Hamas. Proved right, he is now back in the saddle, but what is his plan? Is Gaza Bogie’s bogeyman? In January 2005, US Sen. Jon Kyle led a bipartisan congressional delegation to Israel. One of those he met was then-IDF chief of staff Moshe Ya’alon (who is often referred to in Israel by the nickname “Bogie”). According to WikiLeaks, Ya’alon at one point was asked by members of the delegation what would happen when Israel implemented its Gaza disengagement plan. The IDF general predicted that it would be a “disaster” and would lead to Gaza “degenerat[ing] into Hamastan, al-Qaidastan, Hezbollahstan.” Ya’alon also responded, “If attacks continue, Israel will respond, even if means redeployment of ground forces into Gaza.” Furthermore, he “recommended that Israel remain in the Philadelphi Corridor along the border with Egypt until the PA demonstrated ‘responsible and effective leadership.’” In February of 2005 Ya’alon’s three-year appointment as IDF chief of staff was not extended; he was effectively fired for his opposition to key components of the disengagement plan. He advocated a forward defense strategy; being much more active in Gaza. Working with Egypt to stop the flow of Iranian arms into Gaza were always key to his policy. In October 2013 he personally oversaw the restriction of construction materials entering Gaza from Israel after the army uncovered a Hamas tunnel. 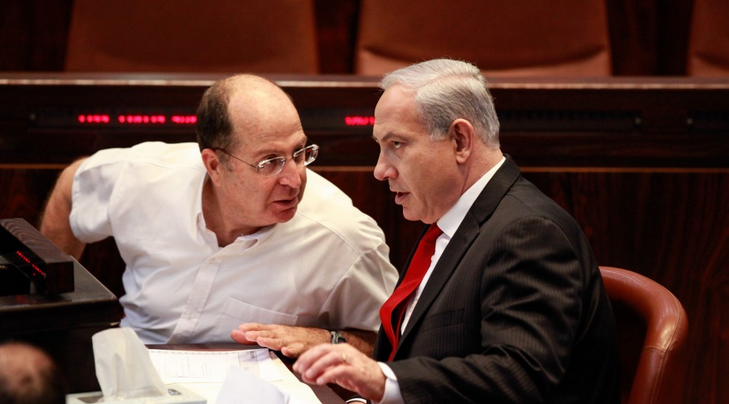 Far from the view that Israel’s defense policy was reticent toward the tunneling, Ya’alon saw it as a major threat. While often tight-lipped at public events, in private he was outspoken, which got him into trouble. In January of 2014 he was overheard and reported to have said that US Secretary of State John Kerry should “get his Nobel Prize and leave us in peace.” He called Kerry “messianic” and “obsessive,” according to the reports. 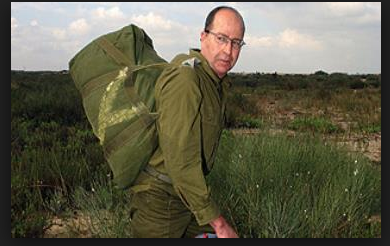 Forced to apologize, commentators on the Left called for Ya’alon to be fired. With the July 8 call-up of 40,000 reservists and the outbreak of the war in Gaza, Bogie has found himself in the driver’s seat again. He has been reported to be the main advocate for disarming Gaza, and warned Israel that the country must be “prepared for long days of fighting.” He told troops on July 25, “You need to be ready for the possibility that very soon we will instruct the military to significantly broaden the ground operation in Gaza.” Ya’alon has the military credentials to understand what a long-term campaign means for Israel and the IDF. The problem facing Ya’alon in this war is that while this time around he has the government’s support, can his twin theory about deterrence and building up a grass roots, peaceful Palestinian population come true? Does he have a longterm vision for Gaza besides isolating it, working with Egypt to control arms and continuing the blockade? **update: The kidnapping of IDF Lt. Hadar Goldin on August 1 has led to escalation in Gaza and Goldin is said to be related to Ya’alon.